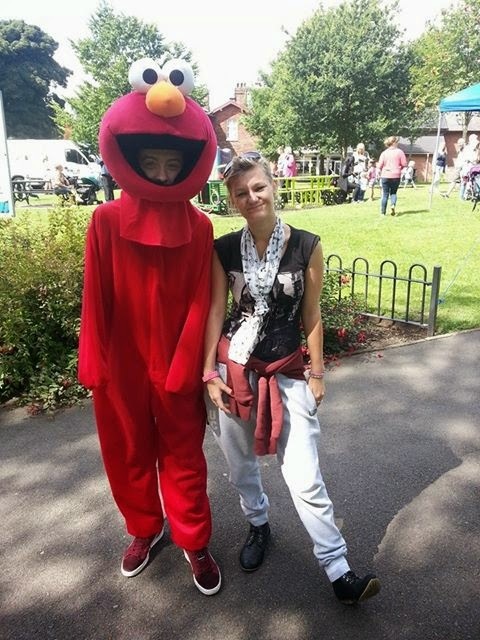 The Kids Karnival event at Brampton Park was a great and massive success. With over 2 thousand children and their families enjoying a fun filled day in the sun and we have had over whelming positive feedback in testimony after testimony. Kids had the chance to take part in circus skills, messy play, arts and craft, clay and ceramics, sporting and physical activities, competitions and the very popular Limbo activities. Children could dance, have their faces painted ride the Stanworths fun fair and much more from bubble mania to tight rope walking all hosted by the amazing Gary Oliver. We are aware that there have been some ongoing issues with Cheeky Monkey's café and play area and that some local people have personal issues and problem with individuals at the café and play area. However, this is nothing to do with the Kids Karnival events, its volunteer, organisers or any of the contributors. This is an issue with the permanent cafe at the Brampton and should be taken up with the management of the Cheeky Monkeys café and play area. As far as we are concern as organisers of the event we do not have a problem with any aspect of Cheeky Monkey café and play area. Kids Karnival 2014- Bringing Martin Luther King’s Dream Alive! The only event in Stoke on Trent that seeks to bring together all communities and achieves that aim … The Sun Shone again on Kids Karnival with thousands of children and their parents attending their annual event. Which this year was held at Etruria Park, Hanley, Children from all back grounds came together making the event a joyous and enjoyable, peaceful, ethnically diverse gathering. Kids Karnival was hosted by the fantastic Gary Oliver and attractions included arts and crafts, Circus skills, Limbo, sport, street games activities and all the fun of the fair and much much more . 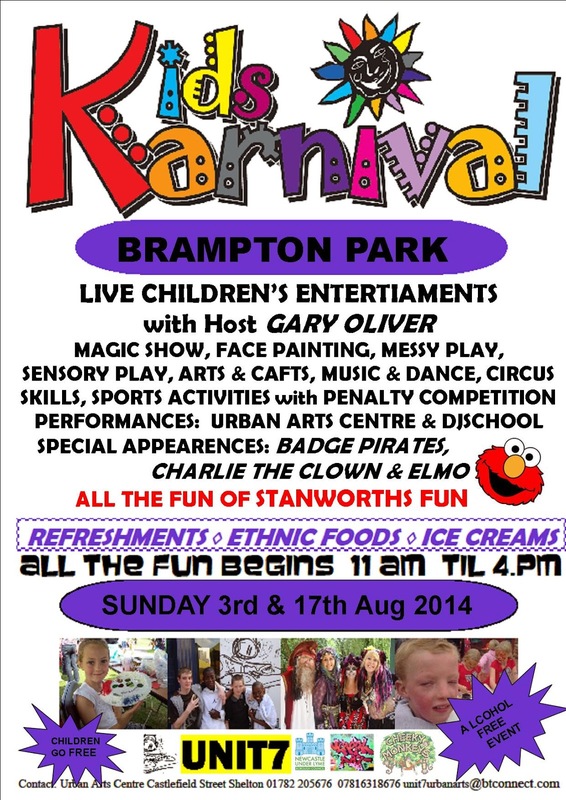 The next Kids Karnival will be at Brampton Park on Sunday 3rd AUGUST 2014. Thank you to all our contributors for making it happen for kids of Etruria and further a field. Please be aware over the last couple of months we have had crossed line problems so some of our clients may not be able to contact us on the main number.